Bulgaria is a small Balkan nation with a natural and varied terrain. The landscape encompasses the Black Sea coastline, grassy lowlands, river valleys and mountains. The climate is generally continental, with cold winters and warm or hot summers. Due to its geographical location, many ancient civilisations have left their imprint on this beautiful country. Bulgaria has one of the richest folk histories in the world. It is dotted with numerous historical artifacts and captivating tourist sights. 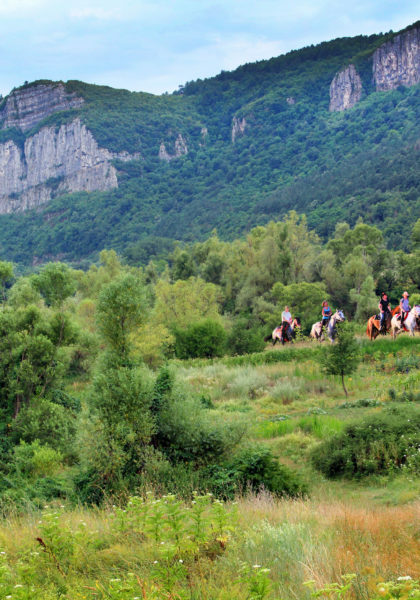 A trail riding holiday in Bulgaria is a fantastic way to discover this delightful Eastern European country.